We’ve just launched a new update which allows you to say Thank You to your customers. It doesn’t matter whether your customer likes to know if you’ve received their payment for an invoice or if you just want to say THANK YOU. Our new function helps you to do both at once. 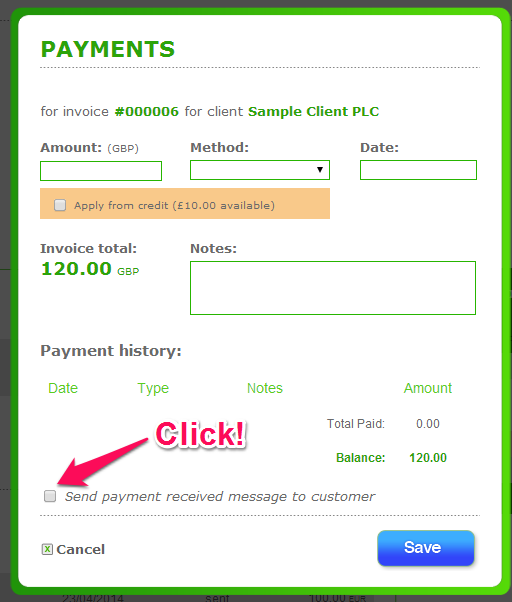 When you add a payment to an invoice simply tick the “Send payment received message to customer” box at the bottom of the form. If you don’t want to send the payment confirmation, then simply don’t tick the box and the payment will be added to the system without notifying your customer. A few extra options will open which will allow you to select the email address you want to send the PAYMENT CONFIRMATION to and you can also add a text message which you want to send to you customer. 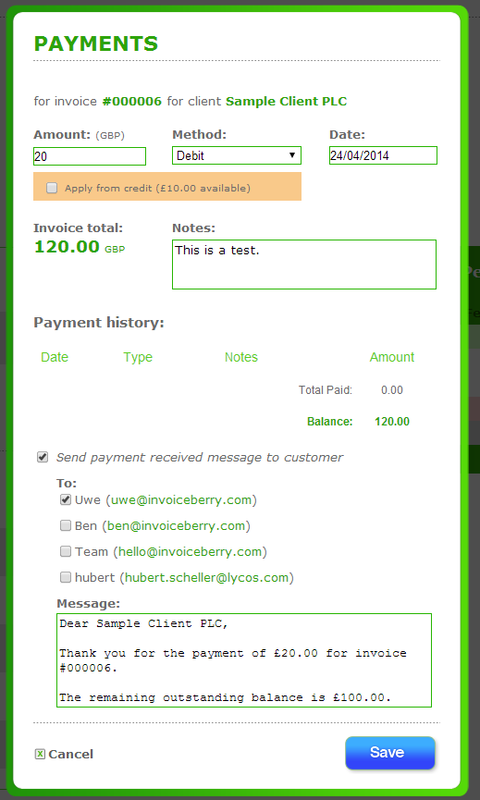 By default we will also attach a copy of the invoice with the adjusted Amount Due to your payment confirmation email.